Yoga and meditation are the devil’s Trojan Horse to trap seekers in the New Age. Find out the dangers and what the Bible says. The Trojan Horse is a tale from the Trojan War about the stratagem that the Greeks used to enter the city of Troy and win the war. The Greeks had sieged the city of Troy for 10 years with no success. Then the Greeks constructed a huge wooden horse, and concealed inside of it an elite force. The Greeks pretended to sail away, and the Trojans pulled the horse into their city as a victory trophy. Now the Trojans had received three different warnings not to bring the horse inside the city because it would mean their defeat. But the Trojans didn’t listen, and despite the warnings brought the horse inside the walls of their city. That night the Greek soldiers crept out of the horse and opened the gates for the rest of the Greek army, which had sailed back to Troy under cover of night. The Greek army entered and wiped out the city of Troy, thereby ending the war. In the devil’s arsenal of New Age lies and deceptions, yoga and meditation are his Trojan Horse. They seem harmless enough, practices that appear to bring us peace, relaxation and well-being. In reality, these two disciplines are stratagems used by the devil to break down any barriers that protect our mind and body temples. It’s expected that on this year’s summer solstice on June 21st, 15000 yoga practitioners will show up in New York City to honor the sun. I was shocked the first time I saw the images of New York Times Square filled with yoga practitioners on their mats. When these seekers of mind/body wellness celebrate the sun solstice, do you think they know they’re participating in sun worship, one of the oldest pagan traditions? When they hold their hands in prayer pose, do you think they know which divinity they’re praying to? When they do their sun salutations, do you think they understand that they’re honoring the sun instead of God? The reason I’m highlighting the summer solstice event in New York City is simply to point out the pagan roots of yoga and some of its unexpected ramifications. It’s very likely that you may practice yoga in the comfort of your home or a yoga studio, with no inclination to worship the sun. Most Westerners who practice yoga do it for the health benefits of greater flexibility, balance, and inner calm, and are not necessarily seeking a spiritual connection. However, the fact remains that yoga is a spiritual discipline that has its roots in Hinduism. In Indian traditions, yoga is much more than physical exercise. Let’s try to understand some of the implications of this. Hinduism contains within it six major schools of thought, of which the two best known in the West are Yoga and Vedanta. The underlying thread between these schools of thought is the acceptance of the Vedas – not the Bible – as the supreme revealed scriptures. Hinduism is based on the belief that multiple paths exist to reach liberation, or oneness with God. In Hindu religion, the divine or supreme being resides within all that exists, which is technically pantheism. Yoga is one of the paths to achieve unity with the divine. The question to ask is: which divinity? The one that resides in the tree? In the cow? In the fire? In the wind? In the earth? In the moon? Now you might only be interested in is the asanas, the postures, or the vinyasas, the flowing sequence of postures. Well, hatha yoga is the one most closely associated with the physical virtues of yoga, and most scholars admit that hatha yoga comes from the tantric tradition, focused on the prana or energy flow in the body. Tantra in turn is the system by which you liberate or separate the two aspects of consciousness and matter or Shiva and Shakti, two of the three key Hindu deities. There’s no way around it: yoga is not simply a set of innocent postures designed for the simple purpose of exercising our bodies. Yoga is the entry point into a broader religious system based on a pantheistic concept of God, the worship of multiple divinities. According to many ancient texts, the ultimate goal of yoga is the kundalini awakening, something even more sinister than oneness with nature spirits. Kundalini awakening is a well-known phenomenon among advanced yoga practitioners. The asanas and pranayama (or postures and breathing) are designed to awaken the “kundalini power”, which is described as a snake coiled around the base of the spine. When this serpent power is awakened, it will then move up through the body, through the “chakras” (the so-called energy centres) and once it reaches the “crown chakra” (or the top of the head) it will explode into the so-called “thousand-petalled lotus”. This is extremely dangerous, and for many people once this happens it is almost impossible to return to any semblance of normality. The ancient texts actually include a warning about this, but most Western teachers like the ancient Trojans disregard the warning. An issue of Yoga Journal published a few years ago featured a cover article that asked the question “Is kundalini awakening safe?” Let me read you a quote from this article: “For some, the experience can be blissful and filled with feelings of love and a sense of the interconnectedness of all things. For others, it can feel more like a bad drug trip, or even a psychotic break, where practitioners go through altered sleep cycles, changes in identity, or depression.” (End of quote) The experience of a “psychotic break” as the article calls it is actually very common among practitioners. And a so-called kundalini awakening can happen spontaneously through the energy flows that are set in motion by the breathing and postures without deliberately trying to invoke this experience. “One day, whilst being deep in pranayama and meditation, something in my mind exploded, and my conscience turned white. Suddenly, there were beings dressed in white robes at my side (in the corner of my eye only, in my peripheral vision), telling me that they would guide me into a new life if I would only continue with my yoga.” We’ll come back to this ex-yoga practitioner in just a moment. Do you see the deception here? There is no “serpent power” coiled in your spine. No, what happens is that the assiduous practice of yoga is designed to open certain energy channels that invite these demonic forces into the body, and yoga practitioners who go there find themselves completely under a demonic control that they can’t get rid of. Let’s conclude therefore on the topic of yoga: Yoga is one of the pillars of the Hindu religion. 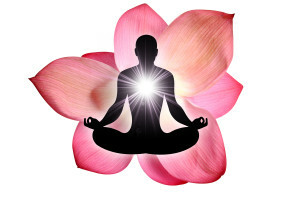 The asanas or the postures and the breathing techniques called pranayama as well as yoga meditation were all originally developed for overtly spiritual and religious reasons. Like most pagan religions, Hinduism is a polytheistic religion, meaning that they worship many divinities. We Christians believe that the God of Israel is the one and only real and living God. Deuteronomy 6:4 says: “Hear, O Israel: The Lord our God is one Lord”. This is a very important point that we’ll study in a lot more depth in a future program of this series. Hinduism is also a pantheistic religion, in that they believe that God and creation are the same thing. Hindus worship the various elements of creation such as celestial bodies, plants and animals because they believe that a god is contained within them. We believe that God is the Creator and as such His creation is submitted to Him. He is distinct from His creation. In the Book of Genesis we read the full account of creation, starting with Genesis 1:1 “In the beginning God created the heavens and the earth”. The elements of nature are not gods that created themselves; therefore we worship Elohim, the Creator, and not His creation. Almost everyone seems to be doing yoga today. But that doesn’t mean we need to. There are many good alternatives to yoga. I do Pilates now. Pilates probably comes closest to building the kind of long and lean body yoga builds, but good body weight training also provides a great workout. Be persistent in your search and you will be able to engage in the kind of wholesome physical training that does you good while honoring our God. There are many definitions and styles of meditation. Most of them come to us from Eastern religions. Whether we consider Buddhist, New Age or Transcendental meditation, they are all a daily spiritual practice that seeks to develop the self through the experience of higher states of consciousness and detachment from the physical world. These types of meditation are usually practiced as mindfulness of the body, as thoughtlessness, as the quest for inner silence, or as the silent repetition of a sound called “mantra”. All these techniques help to blank out the mind and release oneself from conscious thinking, sometimes with repetitive chanting or focusing on an object such as a candle flame. Given the popularity of meditation, many Christian groups have joined the fray and are offering “contemplative prayer” as the way to go. Meditation is claimed to help relieve stress, lower blood pressure and heart rate, and so forth. So what’s wrong with this picture? There are three fundamental problems with meditation. The detachment pursued, which is one of the stated goals of meditation, produces a lingering dissociation from the physical world, from reality and from the physical body itself. This can have extremely negative consequences on a meditator’s ability to deal with reality, to interact with other people and to think critically. Many meditators have trouble getting out of that “spacey” condition and in fact reach a stage where they never get out of that state at all, resulting in chronic dissociation. Some meditators describe that they feel “de-personalized, as if they were watching themselves on film”. Other demonic effect of this expanded consciousness is what yogis call yogic flying, which is a euphemism for levitation. Levitation is absolutely demonic, it’s a supernatural ability humans do not have but can receive from dark powers. My own initiation to meditation happened many years ago. I flew from Paris all the way to Southern California to study with a famous New Age writer and teacher. During that course I learned meditation (we’d meditate morning and evening), took my first yoga classes and was introduced to divination using the Viking Runes and the Chinese Yi King. Two and a half years later I returned to California to do a one-week intense meditation retreat with this same teacher. The course also included daily yoga practice. We were a large group in attendance of at least a hundred people, and were split into two groups. I was in the beginner’s group. The two groups came together during meal breaks and we’d hear the exciting reports of what was going on in the advanced group next door, especially with regard to levitation. At the time I went to this yoga retreat I was a management consultant at the height of my career. Immediately after the meditation retreat I was scheduled to fly back to Frankfurt, Germany to facilitate a global leadership meeting of a multinational travel company. When I landed in Germany I still hadn’t really landed. I was very much in a dissociated state and my facilitation of that meeting left much to be desired. I could function, but my thinking wasn’t crisp and my normal leadership abilities failed me. I did not perform well on that engagement. So much for an expanded state of consciousness that’s claimed to help you perform better – it certainly did just the opposite for me! Also after this one week retreat I started to experience astral projections and other supernatural phenomena in my home. It turns out that the famous meditation teacher projected himself into my home one night with evil intent. Around that time I also experienced an apparition floating above my bed as I described in our last program. And some other so-called “entities” started to hang out in my home. I often used to meditate with a dear American friend of mine who lived in Paris and now lives in Barcelona. She learned meditation at her workplace and has practiced it ever since. Meditation is her only New Age practice. One night she woke up in the middle of the night, sat up in her bed, and started speaking with a distinctly deep and masculine voice. She was terrified because she couldn’t help it. After a few days of this she went to see some healer to help her get rid of this entity and it left. Make no mistake about it. Like yoga, meditation is another Trojan Horse whereby Satan, the prince of the air, and his fallen angels seek to ensnare innocent people who are going through a spiritual awakening. Any repetitive sound or activity, like a mantra or a chant or even repetitive prayer that puts us into a semi-hypnotic state is to be avoided. What should we do instead? What is God’s will with regard to meditation? Let’s read a few bible verses about meditation. So meditation in the biblical sense – the only safe and godly form of meditation – means to fill our mind with God’s law and His word, as well as things that are uplifting. Nowhere in the bible does the Lord instruct us to empty our minds of thought. The truth in all of this is that yoga and meditation are Satan’s Trojan horse to lure innocent victims into the New Age. We’ve demonstrated how these two apparently benign practices have spiritual roots in pagan religions. They both open doors into other realms of consciousness thereby calling in demonic influences, and demonic entities themselves. They give the devil legal right to come into your home and even into your body. We have heard how yoga practitioners and meditators, who come to these disciplines seeking peace and an expanded awareness, may find themselves trapped in high-anxiety states like a kundalini awakening or a psychotic suicidal condition. In this stressful and deranged world, only God can bring peace. The Bible says in Philippians 4:7 “And the peace of God, which passeth all understanding, shall keep your hearts and minds through Christ Jesus.” Jesus is called the prince of peace, for only He can overcome the evil author of war and chaos. The Bible also tells us that God is the source of happiness. Anything other than God is a counterfeit happiness. Only God can bring blessings, joy, peace and happiness into our lives. The Trojans didn’t listen, and lost the war. I pray that you will listen. Tagged asanas, Bible, breathing, Buddha, buddhist, chakra, creation, creator, deities, detachment, devil, dissociation, divinities, energy, expanded awareness, fallen angels, genesis, God, greeks, happiness, hatha yoga, higher state of consciousness, hindu, hinduism, hypnotic, indian, Israel, Jesus, kundalini, law, lotus, manic, meditation, New Age, new york times square, pagan, pantheistic, peace, physical exercise, pilates, polytheistic, postures, pranayama, precepts, religion, Satan, soul, stressful, sun solstice, trance, transcendental meditation, trojan horse, trojans, yoga.